Chutneys are an inevitable part of Indian meals. Can you imagine having idli or dosa without chutney? 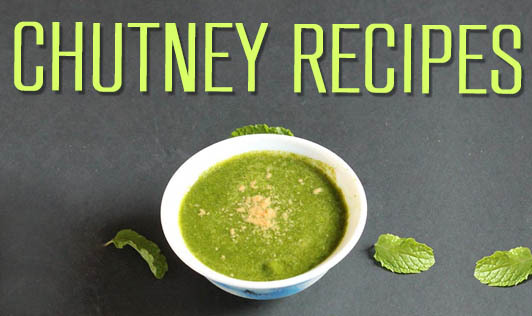 The most common chutney recipes include coconut, tomato, onion, peanut and dhal as main ingredients. Here are some off-beat recipes which you can experiment with to add more variety to your diet! • In a small bowl, add tamarind paste and sugar. Add a teacup of water to this and bring it to boil. Let it thicken a little. • Add cut fruits, chilli powder, cumin powder, salt and black salt. • Mix well and serve cold with phulkas, dosa or rotis. • Heat ½ tsp oil in a pan. Add urad dhal, curry leaves and red chillies and sauté for a few seconds. • Add grated beetroot and sauté for 5 minutes. • Add coconut and salt and sauté for 2-3 minutes. Let it cool. • Grind the sautéed beetroot to a fine paste in a mixer grinder with 2 tbsp of water. • Heat the remaining oil and sauté mustard seeds till it crackles. • Pour the tempering on the ground beetroot chutney and serve. • Heat oil in a pan, add onions and sauté till the raw flavour is gone. • Mix all the ingredients in a bowl and keep aside till jaggery melts completely. • Keep it refrigerated and serve cold.